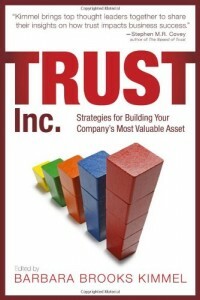 Attached please find our September ebook, Volume 7 of the Trust Reader. We use the TrustReader series to announce the publication of new articles on the Trusted Advisor website. This month’s issue consists of three articles exploring the balance between intimacy and effectiveness in business. We lead with a piece first printed in Raintoday.com titled "Open Letter to Clients: Why You Should Drop the RFP." For the link between buyers and sellers, client and provider, dialogue and a shared level of professional intimacy are key. In business, as well as in life, we seek out the expertise of others for just that—their expertise. Why would it then seem appropriate to demand a quick solution that excludes the ability to share that expertise? While there are a few instances in which they are effective, RFPs too often represent the triumph of fear and risk aversion over courage and higher returns. Better solutions are possible and they usually come from trust-based relationships. Competitive Theory and Business Legitimacy, first published on Businessweek.com suggests that the key to legitimacy lies within business, not outside it. Rebuilding Trust in the Financial Sector, also first published in Businessweek.com, delves into the regulatory solution, and the limitations of solving issues of social trust with political tools.